It is important for every adult and child to brush their teeth at least twice a day. Usually, in the morning and again, before bedtime. For a lot of parents, this is a daily routine but for some parents it can be quite difficult or just some forget and send their children to bed without cleaning their teeth. 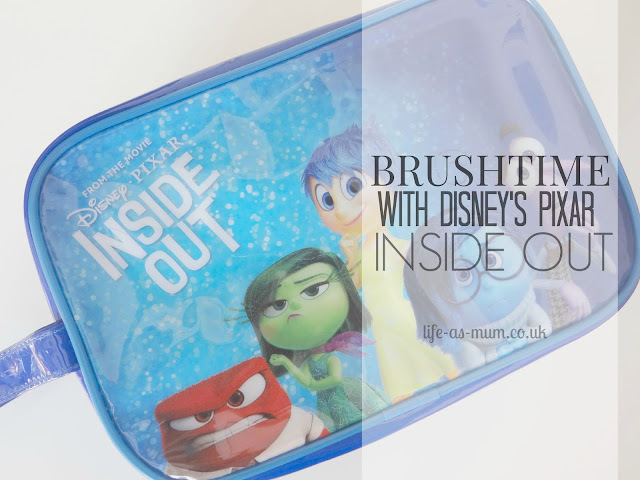 I was sent 2 Disney Pixars' Inside Brushtime packs not long ago. Aquafresh is celebrating Disney Pixar's new film, Inside Out was out in cinemas on 24th July 2015, so there is still time to go and watch it in cinemas now. I am yet too watch it but am looking forward to watch it when it is out on DVD. The film is based inside an 11-year old's mind, called Riley. Riley has many emotions, just like all of us. There is Joy, Fear, Anger, Disgust and Sadness. Aquafresh My little Teeth - Toothpaste for ages 3-5 years. Sugar Acid Protection, provided by fluoride, which helps strengthen enamel and protects their teeth. Two Minute Timer - They say that you need to brush your teeth for at least 2 minutes, morning and night. Joy is to help children enjoy brushtime by watching the sand go through. Wristband - Many parents suffer with children being scared of new routines, such as brushing teeth. This Fear wristband is there to help children overcome their new routine and experience. By wearing it whilst they brush! Toothbrush holder - Your child can have their own place to hold their toothbrush. Disgust finds it hard to try new things, so this is where your child shows Disgust that brushing teeth can be fun! My Big Teeth Toothbrush - Soft mixed bristles, this toothbrush gently cleans between teeth and protects your child's gums. the brush is perfect for little hands and mouths. My girls love the toothbrush cover they had (as you can see in photo below). Stress Toy - Some children find it hard to express their emotions. Anger can be used to help your child calm down when they are stressed. Sometimes interrupting playtime when the child is busy can anger the child, so this stress toy is perfect to help them relieve some of the frustration of learning a new routine! These packs are too help encourage children to enjoy brushing their teeth and encourage them to get used the new daily routine. It is reported that 80% of children throw temper tantrums and experience anger at brushtime, meaning that one in 10 parents send their children to bed without brushing their teeth. Many parents admitted that their children do not brush their teeth correctly and 42% of parents confessed that they have to force their child to brush their teeth. 1. Great habits are caught not taught - take a close look at your own dental habits and make sure they are good enough to pass on. 2. 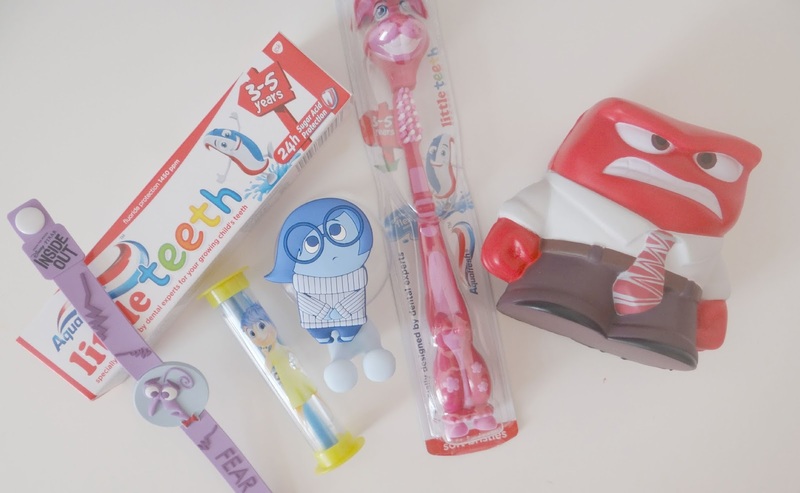 Make brush time fun and brush your teeth when they brush theirs. Your child loves your attention and here is an ideal opportunity to enjoy time together. Choose a time when you are relaxed - not rushing to get out to the office or school - or tired at the end of a long day. Brush your teeth at the same time as they are brushing theirs. Take it in turns to brush each other’s teeth (prepare to get a bit wet!). Encourage them to open their mouths wide by roaring like a lion. The bathroom can be a real centre for the family and it is important to have fun there. 3. Show and tell them what you want them to do. Explain to your child what to do rather than what not to do. Parents find giving negative instructions stressful. And children find negatives very difficult to process. So rather than say ‘don’t forget to clean your back teeth’, say ‘remember to clean your back teeth’. Rather than say ‘don’t rush’ say ‘take your time and feel each tooth’. 4. Behaviour that gets attention gets repeated so catch your child ‘red-handed’ brushing their teeth well. Sometimes we tend to focus on the times our children aren’t doing what we want them to do and give them attention for the behaviour we want to discourage, e.g. “you aren’t cleaning your teeth properly”. When you see them holding their brush, concentrating on squeezing the toothpaste and making an effort – praise them. Describe what you are seeing them do and be as specific as you can and they will be much more likely to do it again. 5. Use apps, egg timers, gizmos and gadgets. Children have a very different concept of time from us. They may find it helpful to use the Aquafresh Brushtime App, a giant egg timer (or your kitchen one) or a musical toothbrush to help them understand how long they are supposed to brush for. Star charts and stickers can be powerful motivators, especially for young children. Location is important, so find a place for the sticker chart in the bathroom. 6. Give instructions one at a time and use visual maps. Children have to develop their memory and this takes time. If you say to them, ‘go upstairs, wash your face and clean your teeth’ – they may get upstairs and genuinely have forgotten what they are supposed to be doing. Make instructions simple and young children will often find a visual map a really helpful way to reinforce spoken instructions. You can make these simply by getting them to draw pictures of what you want them to do in the morning or evening, have a family ‘photo shoot’ or have fun cutting pictures from magazines. You can laminate the pictures if you are feeling adventurous or blu tac them onto the fridge or wardrobe. 8. Give choices and responsibility when you are teaching them. Say to them, ‘would you like to clean your teeth first or put on your pyjamas?’ They are going to do both anyway, but if they are in control and in the driving seat making choices – they are much likely to make it happen. 10. Share books that involve teeth cleaning stories. Try ‘Brush Your Teeth Please’ by Leslie McGuire. It’s a pop-up book that is great fun and practical. I also like Ladybird’s Peppa Pig Dentist trip. You can read more on the Aquafresh Brushtime website. 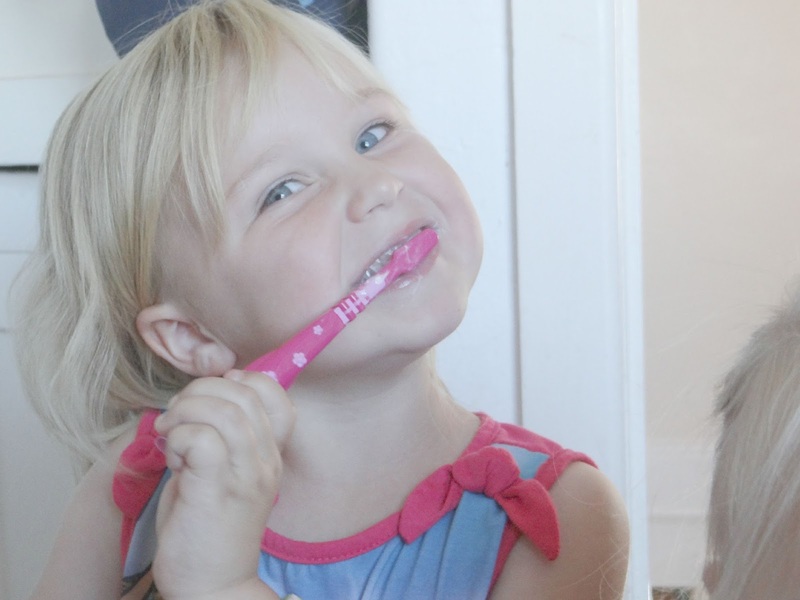 Do you have trouble getting your child to brush their teeth? Do you have any top tips? 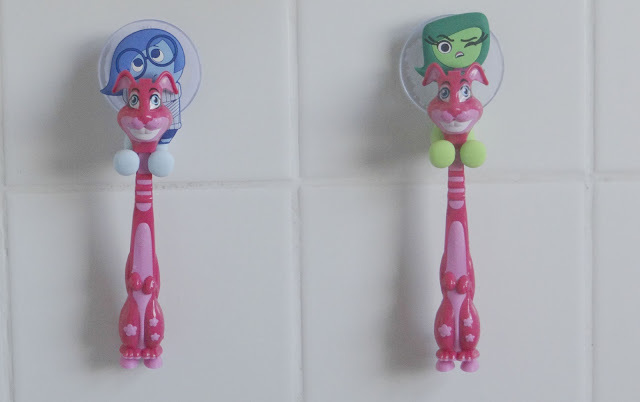 Anything which encourages my children to brush their teeth properly and for a wee bit longer is a big hit with me!